I am not a cyclist. I do not own a bicycle. In fact, I cannot remember the last time I was on a bicycle. However, I really wanted to cycle the Great Western Greenway from Achill to Westport. All 42km of it. In one go… Many of my friends (particularly those well aware of my level of fitness) were kind when they told me I was being a little ambitious. Of course, that made me determined to do it. 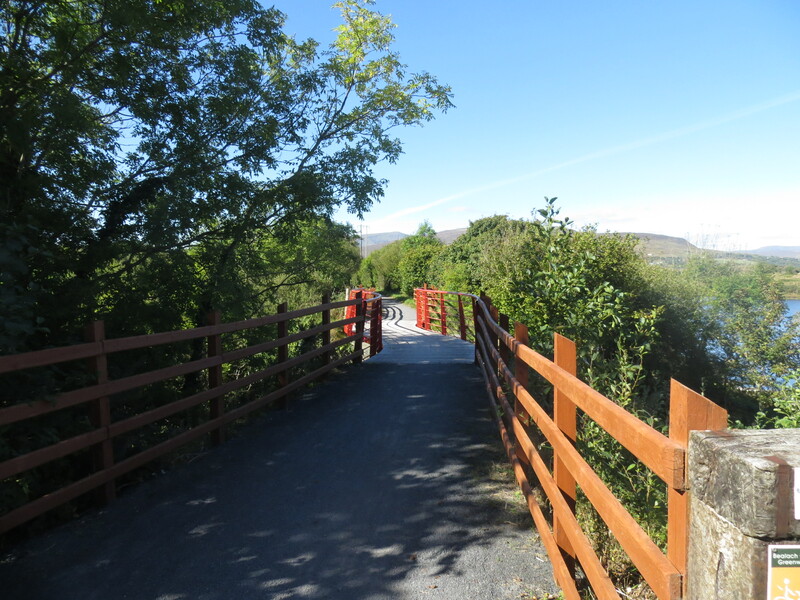 The 42km long Greenway is the longest off-road cycling (or walking) trail in Ireland. It follows the old Westport to Achill railway line. 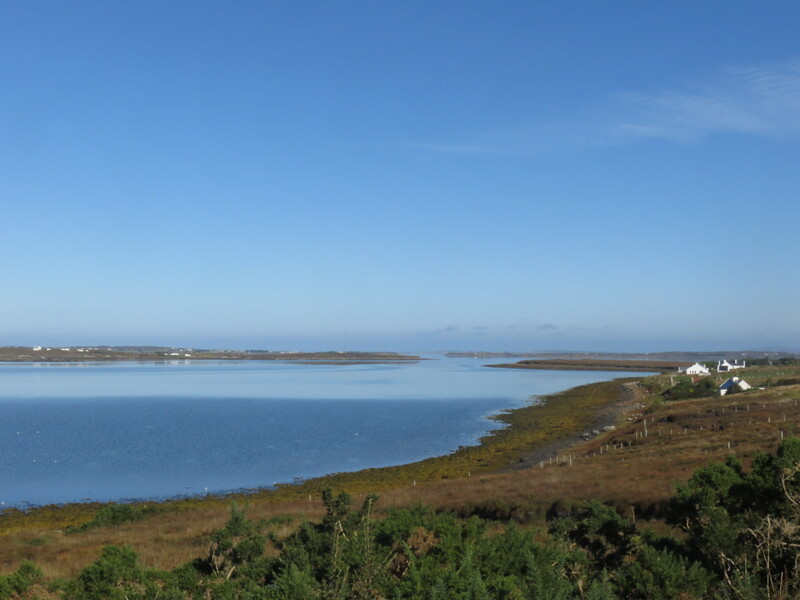 It passes through Mulranny and Newport and some of the most beautiful views in Ireland can be seen along the way. 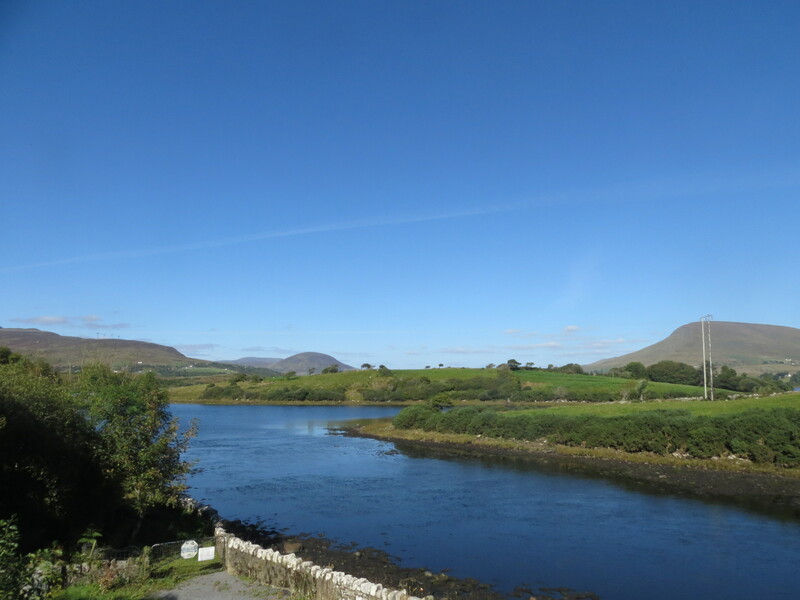 We booked a weekend in Westport and decided to cycle the route Achill to Westport. We hired bikes from Clew Bay Bike Hire and they transported us to Achill with the bikes in the morning. It was a glorious day for late September, one of the most beautiful days of the year – we were so lucky. 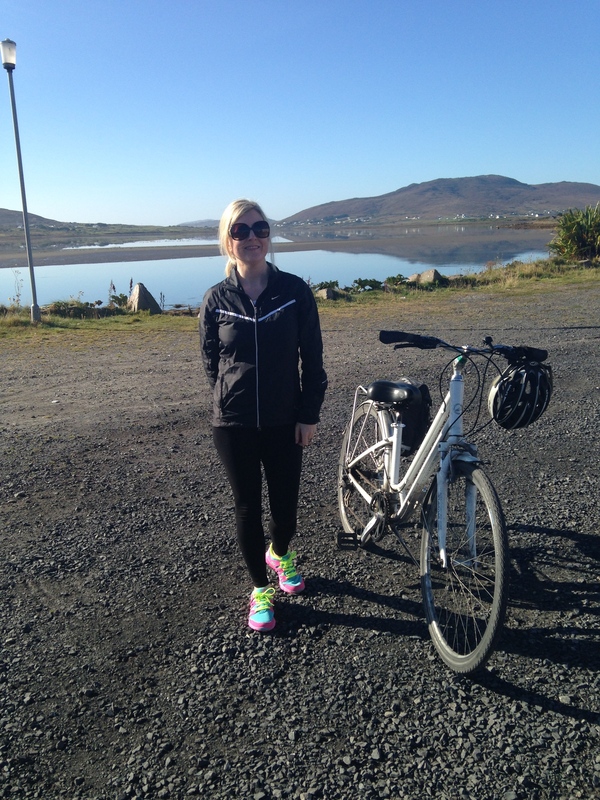 The first section of our cycle was from Achill to Mulranny. This section is 13km in length and we were happy to be able to fuel up with coffees and ice-creams when we got to Mulranny. The next section is from Mulranny to Newport and is 18km in length. Newport is an ideal spot to get lunch and rest up for the final 11km cycle back to Westport. There are a small number of places to stop outside of the main towns. Remember though, that these places are in the middle of some hilly ground and may have a large incline to negotiate to either get in or get out of! Even occasional cyclists will be well able to complete this cycle. Being a complete novice, I was very tired at the end and found some sections tough going. But these are few and far between and you quickly forget about the tough bits once you come to a lovely downhill section with stunning views! However, the last few kms coming into Westport seem to be tough for everyone. There is a hill to negotiate and we were not the only ones pushing the bikes up it! The experience was well worth it though and I would do it again no problem. I would highly recommend Clew Bay Bike Hire. www.clewbaybikehire.ie It cost €22.50 to hire a bike and that included a shuttle to Achill from Westport. You can also hire “Toddler Trailers” for small children. There are no baskets or any other way of securing your belongings to the bike. My advice is to limit what you bring (you will need water, suncream, phone & camera – and possibly change of clothes in winter time!) and hire a pannier bag from the bike shop. Clew Bay Bike Hire have a presence in Achill, Mulranny & Newport also, so if anything goes wrong you can stop and have it fixed at any of their shops. We even left our bikes with their Newport shop whilst we went for lunch. Of course, you don’t need to cycle the full distance and can opt to cycle only one of the sections if you wish. Funnily enough, we found the middle section – which was the longest section – from Mulranny to Newport to be the easiest cycle. Westport is a beautiful town to visit and as well as the Greenway, you can have a go a climbing Croagh Patrick. That one is, I think, beyond my current level of fitness! 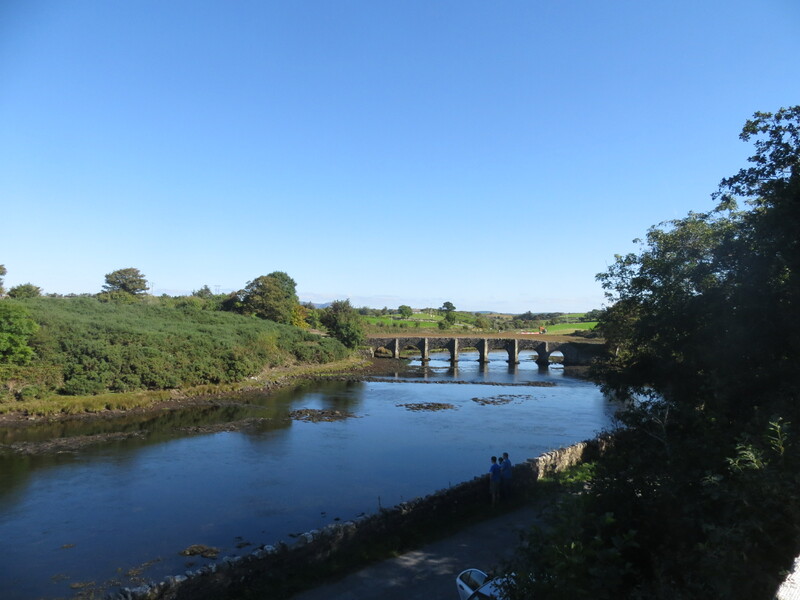 We stayed in Hotel Westport and were very happy with our choice. www.hotelwestport.ie It is within easy walking distance of town but yet in a lovely quiet area. The room was spacious, very clean and had everything we needed. The food was very good and the hotel does some very reasonable packages. Westport itself is full of very nice restaurants (try An Port Mor (book well in advance) or Mangos), has some lovely shops to browse in and some great pubs (Matt Molloys is a must!). Glad you enjoyed your break in Westport and thank you for your kind recommendation of Hotel Westport. I must admit, I am biased but I totally agree with your choice. Hope to see you back in Westport again very soon. Thank you Eithne. I am looking forward to making a return trip to Westport at some point. Really enjoyed it. Next PostCashel and the Rock of Cashel, Co Tipperary.